The 3.5-star Nanuya Island Resort offers comfort and convenience whether you're on business or holiday in Yasawa Islands. The hotel offers a high standard of service and amenities to suit the individual needs of all travelers. Newspapers, luggage storage, family room, Wi-Fi in public areas, smoking area are on the list of things guests can enjoy. Comfortable guestrooms ensure a good night's sleep with some rooms featuring facilities such as internet access ? LAN, wake-up service, mosquito net, blackout curtains, desk. The hotel offers various recreational opportunities. Discover all Yasawa Islands has to offer by making Nanuya Island Resort your base. 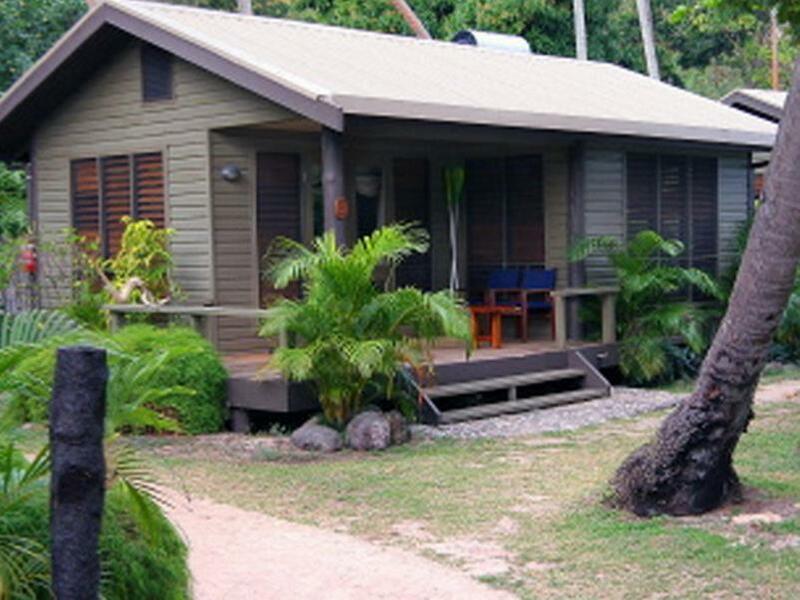 Paradise Cove Resort is conveniently located in the popular Naukacuvu Island area. The hotel offers a wide range of amenities and perks to ensure you have a great time. Take advantage of the hotel's 24-hour front desk, 24-hour room service, express check-in/check-out, luggage storage, Wi-Fi in public areas. Some of the well-appointed guestrooms feature internet access ? wireless (complimentary), internet access ? wireless, wake-up service, non smoking rooms, air conditioning. To enhance guests' stay, the hotel offers recreational facilities such as private beach, outdoor pool, diving, fishing, spa. A welcoming atmosphere and excellent service are what you can expect during your stay at Paradise Cove Resort. Paradise Taveuni is a popular choice amongst travelers in Taveuni, whether exploring or just passing through. The property features a wide range of facilities to make your stay a pleasant experience. Car park, room service, airport transfer, business center, babysitting are there for guest's enjoyment. Some of the well-appointed guestrooms feature internet access - wireless, internet access - wireless (complimentary), whirlpool bathtub, non smoking rooms, air conditioning. Entertain the hotel's recreational facilities, including hot tub, private beach, golf course (on site), outdoor pool, spa. Paradise Taveuni is an excellent choice from which to explore Taveuni or to simply relax and rejuvenate. 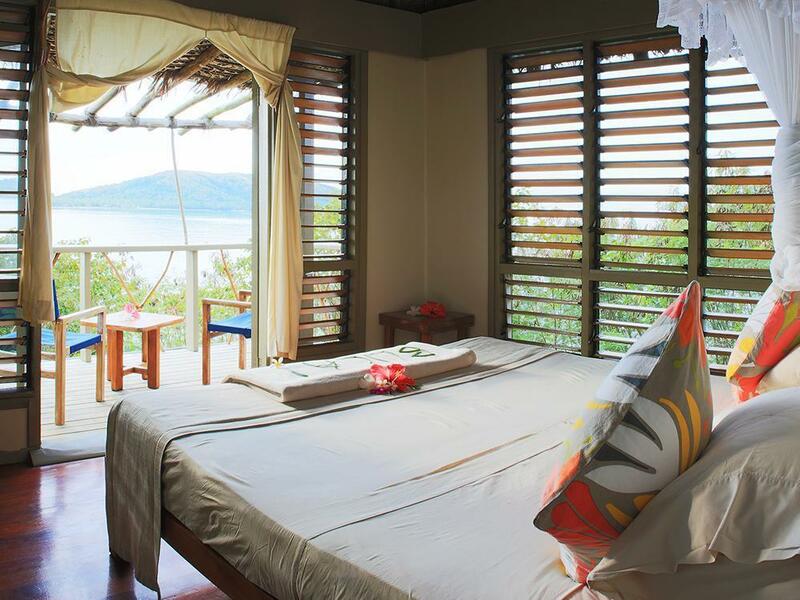 Mantaray Island Resort is conveniently located in the popular Nanuya Balavu Island area. The hotel has everything you need for a comfortable stay. Facilities like bar, shared lounge/TV area, restaurant, smoking area, laundry service are readily available for you to enjoy. Guestrooms are fitted with all the amenities you need for a good night's sleep. In some of the rooms, guests can find balcony/terrace, internet access - wireless (charges apply), bathtub, fan, shower. Entertain the hotel's recreational facilities, including private beach, fishing, water sports (non-motorized), garden, diving. 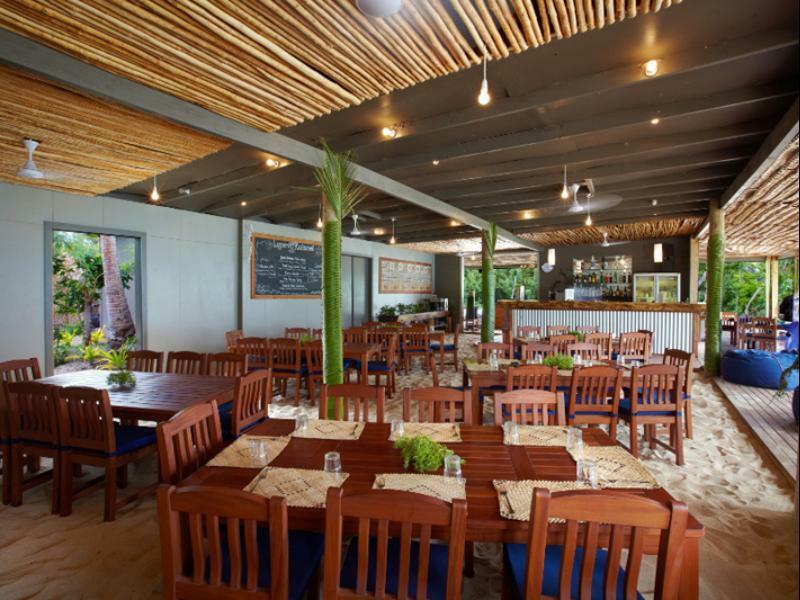 For reliable service and professional staff, Mantaray Island Resort caters to your needs. 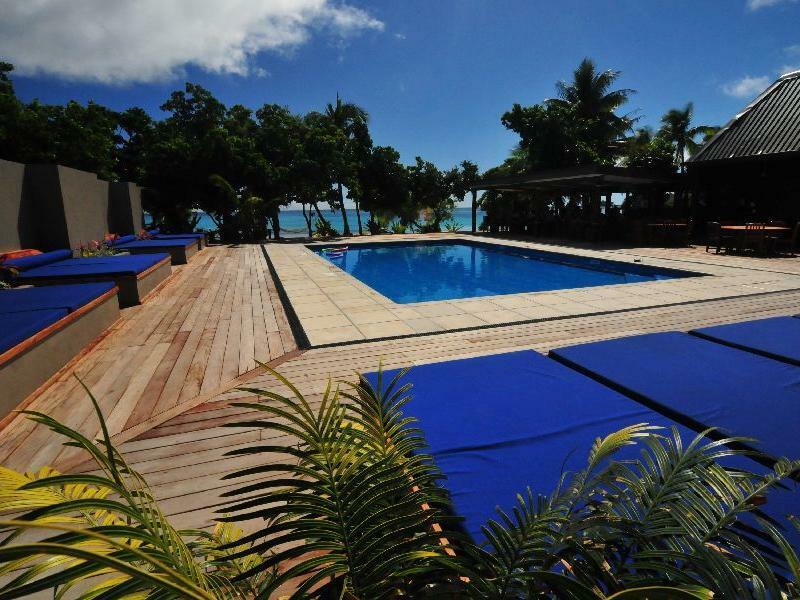 Located in Yanggeta Island, Navutu Stars Resort is a perfect starting point from which to explore Yasawa Islands. The hotel offers a wide range of amenities and perks to ensure you have a great time. Express check-in/check-out, luggage storage, room service, airport transfer, family room are there for guest's enjoyment. Each guestroom is elegantly furnished and equipped with handy amenities. Access to the hotel's hot tub, private beach, outdoor pool, diving, fishing will further enhance your satisfying stay. For reliable service and professional staff, Navutu Stars Resort caters to your needs. Lalati Resort and Spa is conveniently located in the popular Beqa Island area. The property features a wide range of facilities to make your stay a pleasant experience. Luggage storage, airport transfer, BBQ facilities, car hire, restaurant are on the list of things guests can enjoy. Designed for comfort, selected guestrooms offer whirlpool bathtub, non smoking rooms, air conditioning, mini bar, balcony/terrace to ensure a restful night. Take a break from a long day and make use of hot tub, outdoor pool, spa, massage, water sports (motorized). Lalati Resort and Spa is an excellent choice from which to explore Beqa Island or to simply relax and rejuvenate. Shangri-La's Fijian Resort and Spa is perfectly located for both business and leisure guests in Coral Coast. The hotel offers a high standard of service and amenities to suit the individual needs of all travelers. 24-hour front desk, 24-hour room service, facilities for disabled guests, Wi-Fi in public areas, valet parking are on the list of things guests can enjoy. Designed for comfort, selected guestrooms offer internet access - wireless (complimentary), internet access - wireless, wake-up service, non smoking rooms, air conditioning to ensure a restful night. Take a break from a long day and make use of private beach, fitness center, sauna, golf course (on site), outdoor pool. Friendly staff, great facilities and close proximity to all that Coral Coast has to offer are three great reasons you should stay at Shangri-La's Fijian Resort and Spa. Naigani Island Resort is perfectly located for both business and leisure guests in Lomaiviti Islands. Featuring a complete list of amenities, guests will find their stay at the property a comfortable one. Express check-in/check-out, luggage storage, Wi-Fi in public areas, room service, airport transfer are just some of the facilities on offer. Non smoking rooms, balcony/terrace, blackout curtains, fan, interconnecting room(s) available can be found in selected guestrooms. Take a break from a long day and make use of private beach, golf course (on site), outdoor pool, diving, fishing. A welcoming atmosphere and excellent service are what you can expect during your stay at Naigani Island Resort. The 4-star Treasure Island Resort offers comfort and convenience whether you're on business or holiday in Mamanuca Islands. Featuring a complete list of amenities, guests will find their stay at the property a comfortable one. Service-minded staff will welcome and guide you at the Treasure Island Resort. Each guestroom is elegantly furnished and equipped with handy amenities. The hotel's peaceful atmosphere extends to its recreational facilities which include private beach, outdoor pool, diving, fishing, spa. Treasure Island Resort is an excellent choice from which to explore Mamanuca Islands or to simply relax and rejuvenate. Qamea Resort and Spa is conveniently located in the popular Qamea area. Both business travelers and tourists can enjoy the hotel's facilities and services. Wi-Fi in public areas, room service, airport transfer, restaurant, tours are on the list of things guests can enjoy. Comfortable guestrooms ensure a good night's sleep with some rooms featuring facilities such as private pool, non smoking rooms, air conditioning, heating, desk. Entertain the hotel's recreational facilities, including private beach, fitness center, outdoor pool, diving, fishing. No matter what your reasons are for visiting Taveuni, Qamea Resort and Spa will make you feel instantly at home. 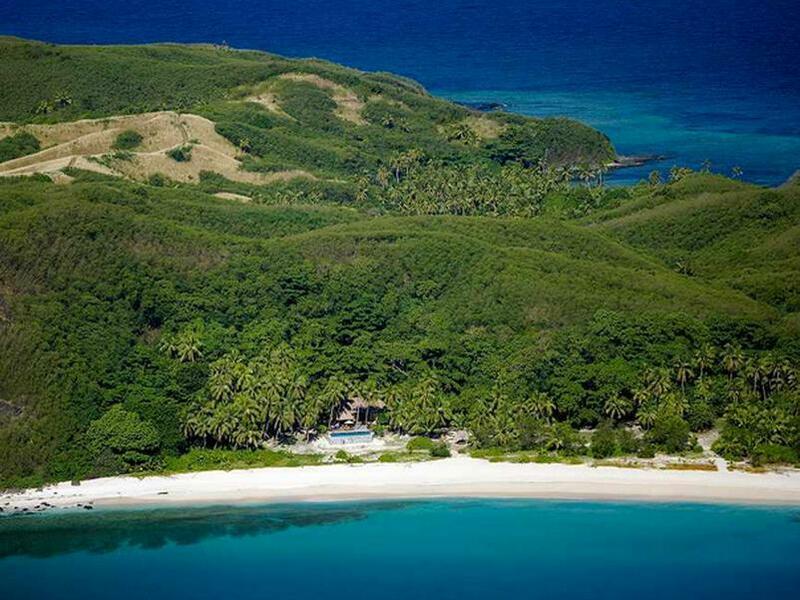 Stop at Wayalailai Resort to discover the wonders of Yasawa Islands. Offering a variety of facilities and services, the hotel provides all you need for a good night's sleep. All the necessary facilities, including bar, restaurant, babysitting, airport transfer, laundry service, are at hand. Each guestroom is elegantly furnished and equipped with handy amenities. Recuperate from a full day of sightseeing in the comfort of your room or take advantage of the hotel's recreational facilities, including water sports (motorized), games room, water sports (non-motorized), massage. Discover all Yasawa Islands has to offer by making Wayalailai Resort your base. Yasawa Island Resort and Spa is a popular choice amongst travelers in Yasawa Islands, whether exploring or just passing through. The hotel has everything you need for a comfortable stay. Service-minded staff will welcome and guide you at the Yasawa Island Resort and Spa. All rooms are designed and decorated to make guests feel right at home, and some rooms come with extra long beds (> 2 meters), hair dryer, blackout curtains, toiletries, television. The hotel's peaceful atmosphere extends to its recreational facilities which include spa, outdoor pool, water sports (non-motorized), water sports (motorized), fitness center. 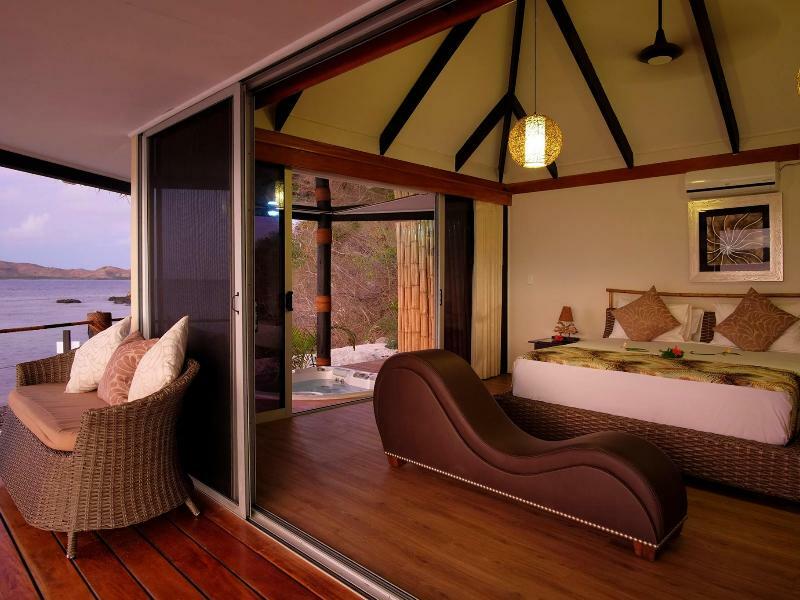 Convenience and comfort makes Yasawa Island Resort and Spa the perfect choice for your stay in Yasawa Islands. Matana Beach Resort is a popular choice amongst travelers in Kadavu Island, whether exploring or just passing through. The hotel offers guests a range of services and amenities designed to provide comfort and convenience. Daily housekeeping, printer, Wi-Fi in public areas, room service, airport transfer are on the list of things guests can enjoy. Guestrooms are designed to provide an optimal level of comfort with welcoming decor and some offering convenient amenities like non smoking rooms, balcony/terrace, blackout curtains, fan, in room safe. The hotel's peaceful atmosphere extends to its recreational facilities which include canoe, dart board, hiking trails, watersports equipment rentals, snokeling. For reliable service and professional staff, Matana Beach Resort caters to your needs. Blue Lagoon Beach Resort is conveniently located in the popular Nacula Island area. The property features a wide range of facilities to make your stay a pleasant experience. All the necessary facilities, including free Wi-Fi in all rooms, express check-in/check-out, luggage storage, Wi-Fi in public areas, car park, are at hand. Each guestroom is elegantly furnished and equipped with handy amenities. The hotel offers various recreational opportunities. Discover all Yasawa Islands has to offer by making Blue Lagoon Beach Resort your base. 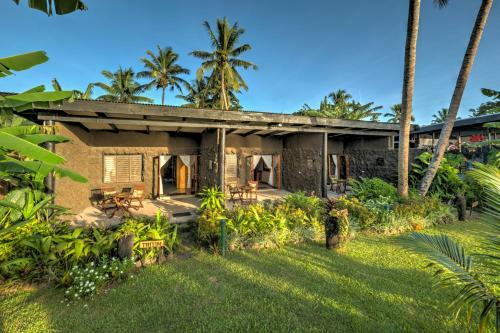 The 4-star Toberua Island Resort offers comfort and convenience whether you're on business or holiday in Lomaiviti Islands. The hotel offers guests a range of services and amenities designed to provide comfort and convenience. Wi-Fi in public areas, room service, airport transfer, babysitting, restaurant are just some of the facilities on offer. Guestrooms are fitted with all the amenities you need for a good night's sleep. In some of the rooms, guests can find non smoking rooms, desk, mini bar, balcony/terrace, fan. The hotel's peaceful atmosphere extends to its recreational facilities which include private beach, fitness center, golf course (on site), outdoor pool, spa. Toberua Island Resort is an excellent choice from which to explore Lomaiviti Islands or to simply relax and rejuvenate.